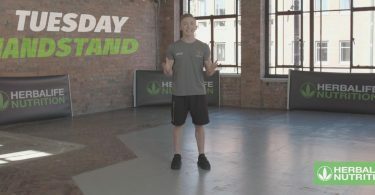 Welcome to day number 17 of the Herbalife Nutrition 21 day Challenge with Nile Wilson. Today, we will be revisiting the concept of Mindset and Gratitude. Find things in your life you’re grateful for and make a list of them. This will without a doubt put a big smile on your face. When we wake up grateful, we have a more positive attitude towards the upcoming tasks ahead and we are ready to smash the day. Perspective is important; it inspires us and motivates to keep on going. In this video, Nile goes through the importance of being grateful for what we have and who we are. We only have one shot on this earth, so better make it count! Another big part of your journey is your nutrition. Make sure you plan your meals for yourself and that you have all you need to keep your body properly fuelled for the week ahead. If you want some additional/further support, you can get in touch with a Herbalife Nutrition Member by clicking here. Nile Wilson will also share his thoughts on his favourite Herbalife Nutrition products, including those he uses during his training regime. The most important thing is for you to find the right balance to change or better your habits. 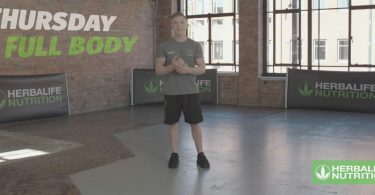 See you tomorrow for Day 18 of the 21 Day Challenge with Nile Wilson.